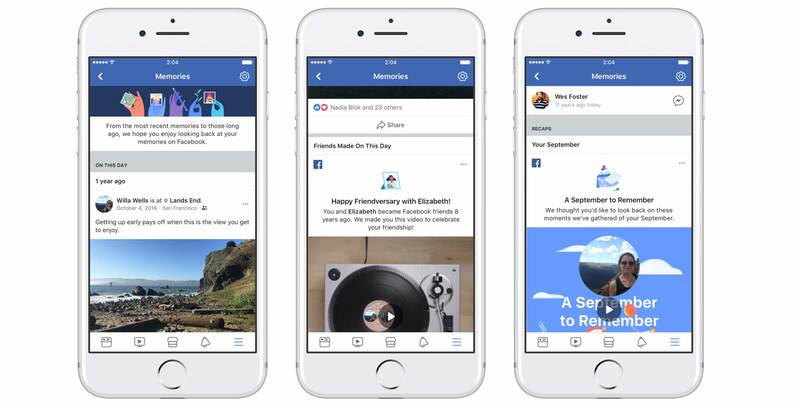 Facebook has been updating users with ‘On This Day’ memories since 2015, but now the company is adding a dedicated section for users to go back and look at their memories whenever they want. The new ‘Memories’ section contains several different types of posts. Users can see their ‘On This Day’ posts and some Facebook friends that were made in the past. There will also be seasonal or monthly slideshows and recaps of posts that a user published within that time period. Memories will be on the left hand side of the Facebook website, with the other sections, including Pages, Events, and Games. In the mobile app, the feature is nested inside of the ‘More’ section. Users can also access Memories at facebook.com/memories. Research suggests that looking back at happy moments in your life can have a positive impact on a user’s mood and well-being, according to a recent press release from Facebook.